Sometimes I like to take a step back from UX design and do graphic illustration work. Lately I’ve been enjoying Gravity Falls, a TV show with A+ storytelling that engages the audience by hiding codes hidden in each episode. 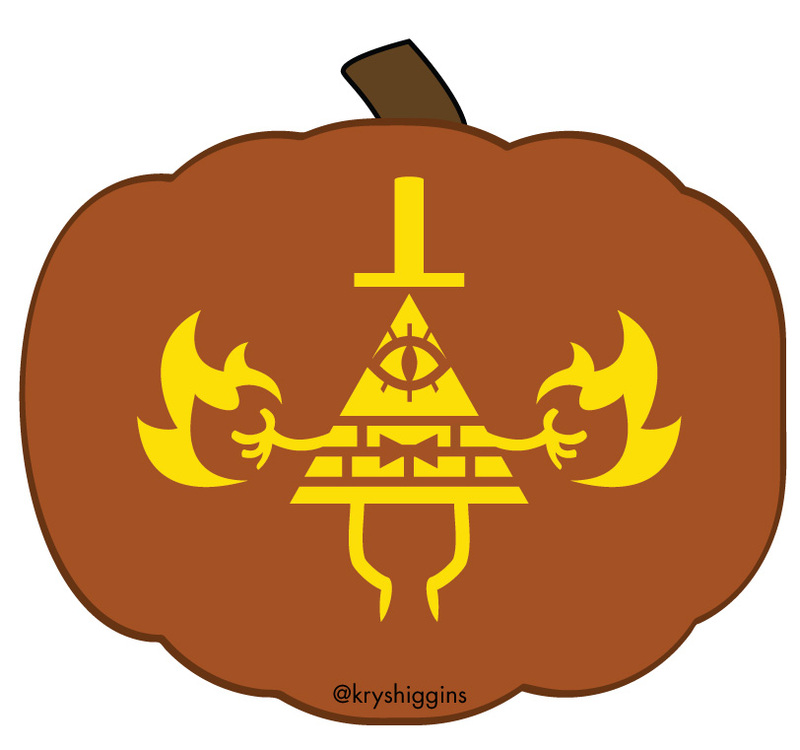 So with Halloween approaching, I’ve created free jack-o-lantern stencils for one of the show’s most iconic characters, Bill Cipher. I’ve got a few options for Bill, so get ready for a rundown after the break. Special Edition Greyjoy Free Game of Thrones Valentine! It was pointed out to me that I’d forgotten House Greyjoy in my Free Game of Thrones-inspired Valentines patterns. Instead of making another that matched the set, I created instead a DIY printable Valentine which you can give to your loved one (or enemy) for some interactive fun! NEW! I created a special edition print-at-home Greyjoy pattern card. See it here. Winter crafting wouldn’t be complete without some artistic activities for Valentine’s Day. 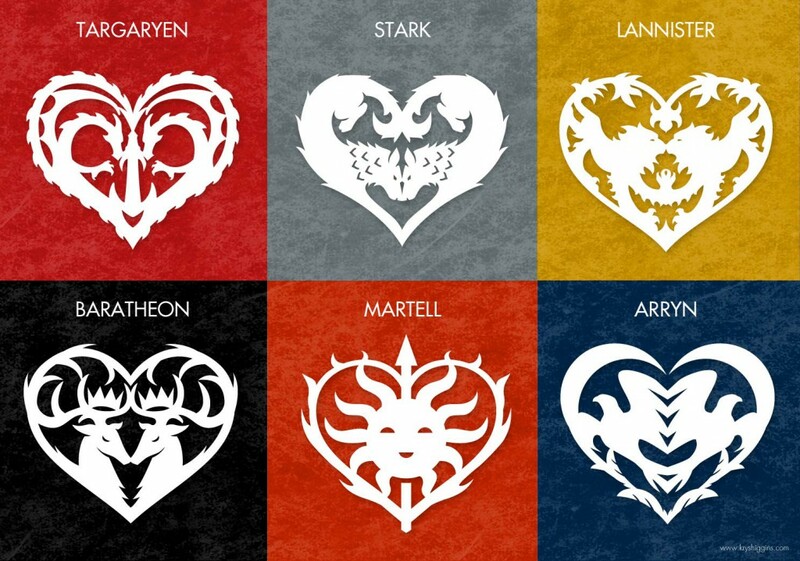 Following in the theme from the Game of Thrones-inspired snowflake patterns, I’ve created heart-shaped paper cutouts using interpretations of the Lannister lion, Baratheon stag, Targaryen dragon, and Stark direwolf sigils. And, like the snowflakes, I’m sharing these patterns for free! Read on for instructions and downloadable patterns.